If Americans have an urge to pop into a certain ubiquitous coffee chain later today for a caramel cocoa cluster frappuccino, a pumpkin spice latte, or just an espresso, they’re liable to be disappointed. Every single one of the 8,000 Starbucks shops in the US is closed this afternoon. The Seattle-headquartered caffeine peddling phenomenon has not gone bankrupt. Nor has it been affected by some catastrophic nationwide sanitary crisis. The shops are all shut because the entire 175,000-strong US workforce of the company is undergoing “diversity training”. 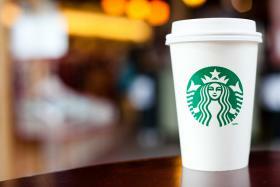 The cost of the great Starbucks shutdown in foregone profits has been estimated at around $12m (£9m). That may sound like rather a lot of “bucks” to spend on staff training. But that figure needs to be put in the context of the chain’s $2.9bn of global profits last year. Starbucks can afford to make this expense. Arguably, it can’t afford not to. The company’s US training day was prompted by a public relations disaster last month, when staff in a Philadelphia branch called the police to arrest two black customers, one of whom had merely asked to use the toilet. Such a reaction would be outrageous in any country, but in America, with its shameful history of racial segregation (including “Whites Only” restrooms) and a current president who describes white supremacists as “very fine people”, one can easily see why it’s especially toxic. The Starbucks training day, we’re told, will encourage workers to talk about their implicit biases and stereotypes when encountering ethnic minority customers. To understand the underlying economics of this story, it’s necessary to grasp the nature of Starbucks’ business. Starbucks doesn’t hold a patent on coffee. It doesn’t own the majority of the world’s coffee plantations, or enjoy a global monopoly on the supply of beans. For all those inventive recipes, it doesn’t have a secret formula that cannot be emulated. Its coffee-making equipment is essentially no different from what can be found in most other coffee outlets. Nor does Starbucks own the freehold of those tens of thousands of shops in prominent locations in cities and towns around the world. Nor do its staff have any kind of unique training that enables them only to work in Starbucks; they could just as easily ply their trade for one of its many rivals. Add up all the cash, property and sacks of coffee on Starbucks’ balance sheet and one comes to $14bn. Yet the company’s stock market valuation is closer to $80bn. What explains the difference? The value of its brand. If the Starbucks brand is harmed, all those revenues, all those profits, risk melting away like foam on a cappuccino. Of all the associations that the multinational Starbucks brand wants to avoid, racial bigotry must rank pretty highly. Protecting that brand is paramount. And $12m is, in this context, a pretty small price to pay. However, that’s not the end of the financial considerations. Research suggests that top-down, mandatory, one-off diversity training exercises often fail to deliver results, with any lessons learnt rapidly fading. Voluntary programmes, and training designed to build a genuine sense of engagement, and to directly expose workers to different social groups, seem to do much better. The greater financial risk for Starbucks lies not in the size of the outlay, but in the danger that this training is ineffective; if it represents a cosmetic public relations exercise rather than a serious operation to educate its workers and managers in how to treat customers. It’s not enough for a company to wake up and smell the coffee when a brand is in jeopardy. It needs drinking too.